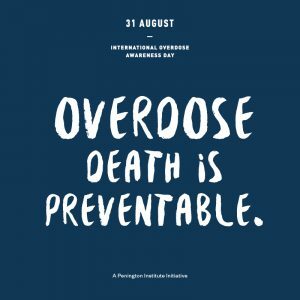 This is a global event held on August 31st each year which aims to raise awareness of overdose and reduce the stigma of a drug-related death. It also acknowledges the grief felt by families and friends remembering those who have died or had a permanent injury as a result of drug overdose. The tragedy of overdose is far too frequent, but is ultimately preventable.